The Star Entertainment Group has launched a branding campaign to attract more Chinese gambling tourists. The move resulted from the current trade war between the Asian country and the US. Although research is showing that the number and frequency of high rollers coming from China to gamble in Australia has been unaffected by the trade war, Star would rather be safe than sorry. The casino operator has created a brand-new campaign for the Chinese marketing. They have even gone as far as rebranding their name in China, from the direct translation of the name Star Harbour City to Millions of Stars. The Star has also launched an official WeChat account in order to be in touch with China on a social media level since all other mainstream social media platforms are banned in the country. The ever-growing Chinese economy has boosted tourism out of China to the rest of the World. Star Entertainment Group would like to secure their share of Chinese travellers who are tourists in Australia. explained that the growth of Asian tourism seems to be the latest economic gold rush. Therefore, The Star has managed to put their best foot forward and capitalise on the tourism boom. 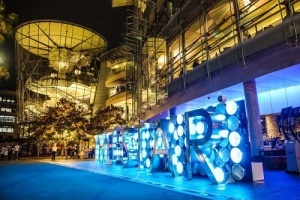 The CEO of The Star acknowledged that only by positioning themselves as a stellar casino resort group with the best to offer can they distinguish themselves from the rest and get the business they want to attract. In an effort to draw more Chinese high roller tourists to The Star, the casino group has included payment facilities that are commonly used in China. Payment facilities such as WeChat Pay, China UnionPay and Alipay are some of the payment terminals which Chinese tourists can find when they gamble at The Star in Sydney.